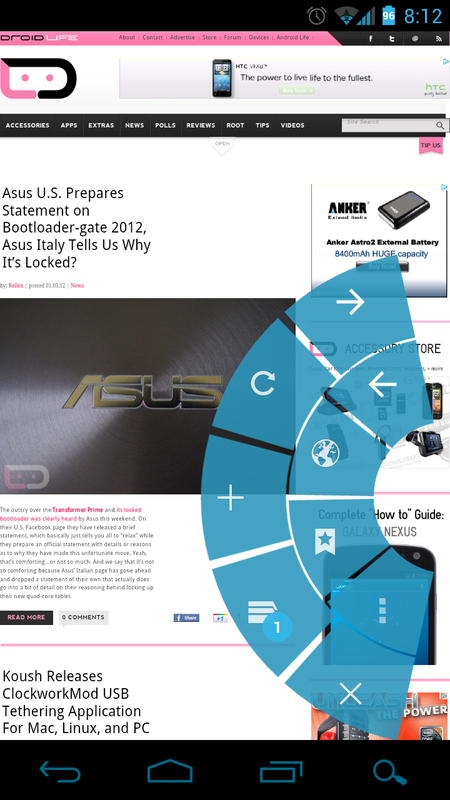 One of the best features in the browser of Ice Cream Sandwich is easily the “Quick controls” that can be toggled on or off in Settings>Labs. If you haven’t been using these, trust me when I say that you are missing out. Browsing has never been so, well, quick with these enabled. The only issue that I can even come up with for them, has been the lack of options like a forward or back button, the ability to instantly add a new browser window or even bookmark a site. It looks like I wasn’t the only one that was in need of these options though, as a new release on the market called Browser Plus brings all of them to any Android 4.0.1+ device. And better yet, you don’t even need to be rooted. 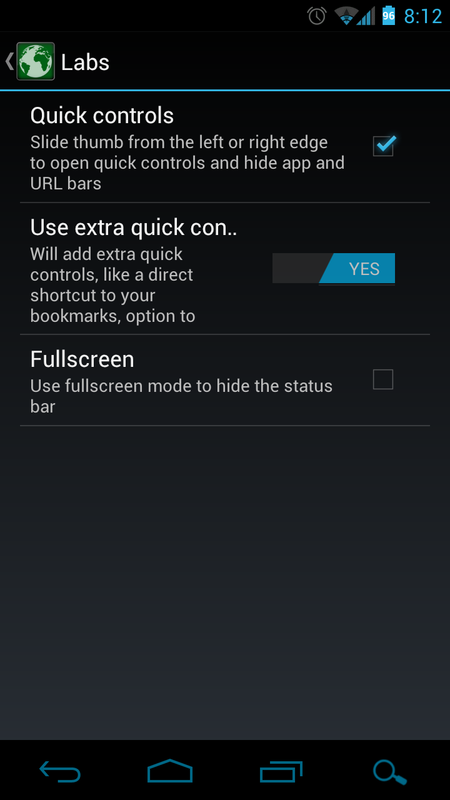 After installing on your phone, you still need to enable quick controls and the extra set of options. You can do that by visiting Settings>Labs.